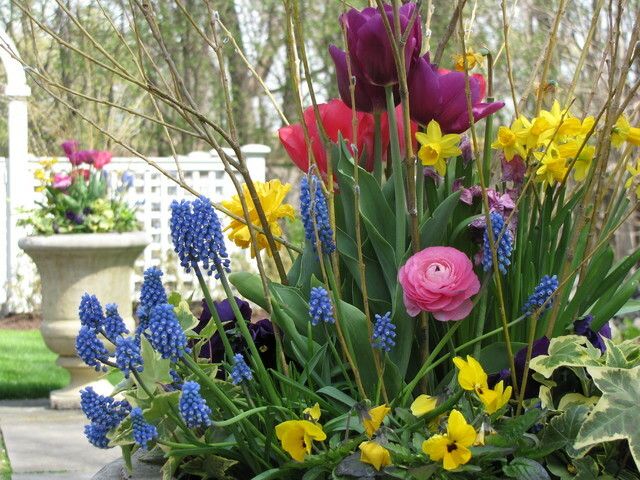 Spring arrangements of tulips, yellow daffodils, blue grape hyacinth, pink ranunculus, pansies, and english ivy. What is the circular pink flower in the foreround please? These are annual spring planters in zone 5b. We work in Illinois, so I do not know if they would be appropriate for Florida.